If you're wondering where the popular travel-sized Zzz-PAP CPAP machine went, you're not alone. The Zzz-PAP device, manufactured by Apex in Taiwan, was a best-seller and an option often chosen by CPAP users looking for an inexpensive CPAP machine. The only problem now is that the machine has been out of stock since August. Here's what happened. Back in March 2013, ResMed flexed their corporate muscles and took a step toward protecting their intellectual property by filing legal action against Taiwanese-based Apex Medical in US federal court as well as with the International Trade Commission (ITC). ResMed has claimed that several of Apex's products - including some masks and flow generators - like the Zzz-PAP - infringe upon ResMed's patents. As a result of ResMed's legal filings and a request to stop Apex from exporting the infringing products to the US, Apex machines like the Zzz-PAP have become unavailable. 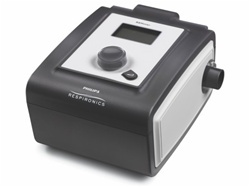 Although ResMed's actions have been inconvenient for CPAP users looking for a small and affordable CPAP machine, we have alternatives which are more than suitable as a replacement, and we're even offering one of those alternatives at the Zzz-PAP price ($199 without humidifier, and $299 with heated humidifier). And it's the alternatives that I'd like to discuss here, because although ResMed has at least temporarily shut down Apex in the US, they've considerably empowered other more important manufacturing rivals. You see, to our knowledge, not a single customer looking for the Zzz-PAP has, upon learning of the discontinuance of the Zzz-PAP machine, opted to buy a ResMed unit as an alternative. The reasoning is simple. ResMed machines cost a lot more than the Zzz-PAP. So, what have customers been buying instead of the Zzz-PAP? They've been buying the Philips Respironics REMstar (our equivalent substitute which we're offering at the Zzz-PAP price) and the Somnetics Transcend II. So, Philips Respironics and Somnetics have benefited the most from ResMed's legal action. The irony is palpable. ResMed's actions have been understandable, but I think they've been wrong. Any manufacturer has to protect its own intellectual property, but if I were the CEO of ResMed I wouldn't want to give my biggest rival - Philips Respironics - a free gift of potentially thousands of device orders per month. Instead, I would want to make Apex pay for using ResMed designs, so that ResMed would simultaneously be making a profit off of each Apex device, while ensuring my competitors weren't laughing their way to the bank. I'd want to force Apex to stop using the patented designs as a long term goal, and I'd sue for damages just like ResMed has done, but in the short term I'd gladly take a royalty from each Apex machine sold. I would want to do this because it would give ResMed revenue from a category of the market in which they're getting none right now - the lower-end, inexpensive device category - without increasing sales for my main rivals. Think of it: hundreds of thousands of dollars in revenue with zero development cost, in addition to the millions ResMed will probably win in damages, and absolutely nothing for the other manufacturers. If ResMed had a product that competed directly with an Apex product like the Zzz-PAP, then everything ResMed has done up until now would have made perfect sense. But ResMed doesn't have a product that competes directly with Apex on price. I think all the Philips and Somnetics sales reps should chip in and buy the CEO of ResMed a nice gift basket for Christmas this year. I also think that ResMed should develop a CPAP device - or take the Apex flow generators by force - that retails in the $200 range without a humidifier and in the $300 range with a humidifier. Comments? I'd be happy to hear them.